A two day classroom course followed by onsite assessments. 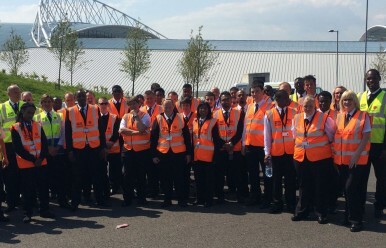 This qualification is for those working in the match day and events Stewarding industry. 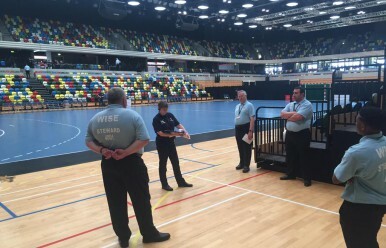 It can be achieved by individuals typically working at Sport Events, Parades, Concerts, or Carnivals where the Safety of Spectators is paramount. The qualification is competence-based and as such it is reasonable to say that we would expect all attendees to be proved competent within the recognised time scale. The objective of our training team is to help attendee’s through the course and make it as enjoyable and informative as possible. 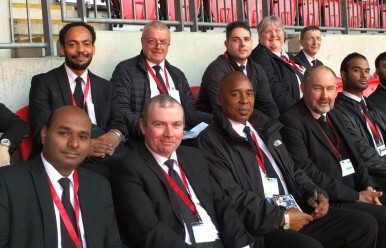 This qualification is for those working wishing to work at a Supervisory Level in the match day and events Stewarding industry. It can be achieved by individuals typically working at Sport Events, Parades, Concerts, or Carnivals where the Safety of Spectators is paramount. Watch this space, Wise Security will soon be offering the following courses!